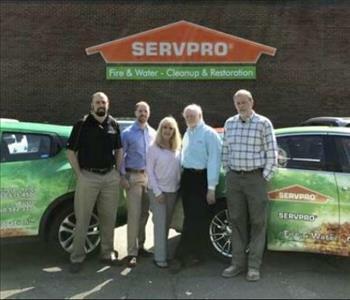 Chip Mendela is a member of our marketing team at SERVPRO of Bristol. 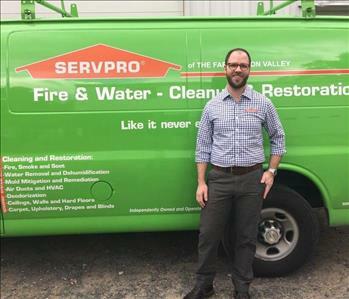 Jordan is a member of our marketing team at SERVPRO of Bristol. 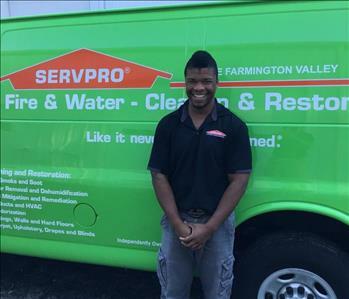 Dareem is an Estimator and Job File Coordinator at SERVPRO of Bristol. He has been with the organization since about 2008. He is very well versed in multiple facets of cleanup and restoration. Dareem began his stay with us as a technician. In his spare time he likes to sing as well as going to the gym and work out. 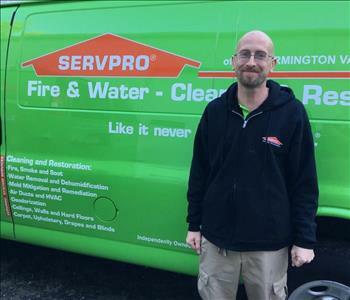 Christopher is a Crew Chief at SERVPRO of Bristol. Christopher has many years of experience. Our management team is here to provide you with outstanding, prompt and courteous service. Rodney is our First Responder and is often the first face you will see on the scene in an emergency situation. He is also part of our sales and marketing department at SERVPRO of Bristol. Mary Ann is our Office Manager at SERVPRO of Bristol. She joined our staff in 2011 and has greatly increased our production. She is vital in our job file audit - however she has a hand in all office functions. In her spare time, she enjoys bird watching and reading. Sheila is our Assistant Office Manager at SERVPRO of Bristol. She has been a part of the staff since 2017, and helps with many office functions. Sheila is vital for our job file audits. She loves to shop and decorate and in her spare time she enjoys hairdressing! 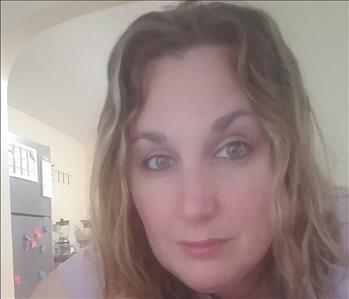 Stephanie is our Receptionist and Office Assistant at SERVPRO of Bristol. She joined our office staff in 2018. When you call our offices, you are most likely going to speak with Stephanie since she handles and directs calls. In her free time, she enjoys shopping. 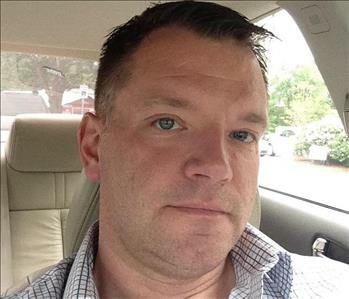 David is an Estimator and Project Manager at SERVPRO of Bristol. 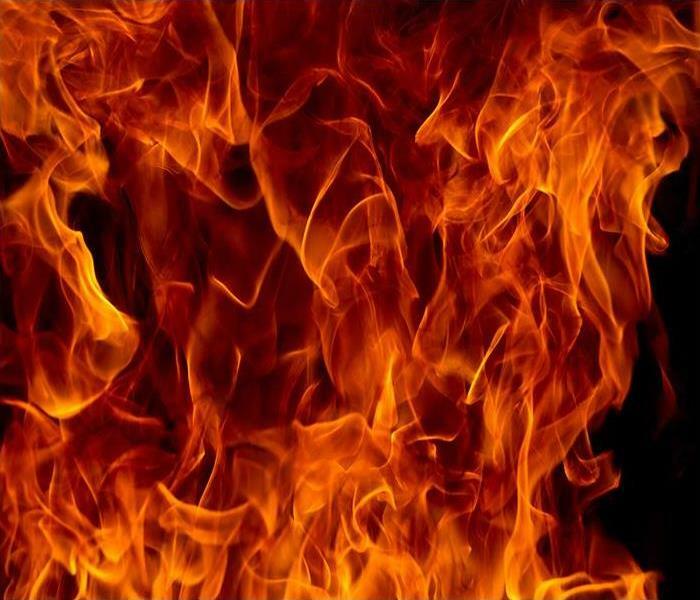 From 2008 he has been working in the insurance and construction industries, and is a licensed adjuster - handling both commercial, residential and complex and larger losses. His years in customer service and construction make him a very valued and knowledgeable member of the team. He also loves to be outside and enjoys the outdoors. 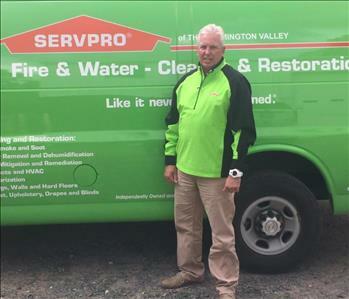 Tom is our Operations Manager/Project Manager at SERVPRO of Bristol. 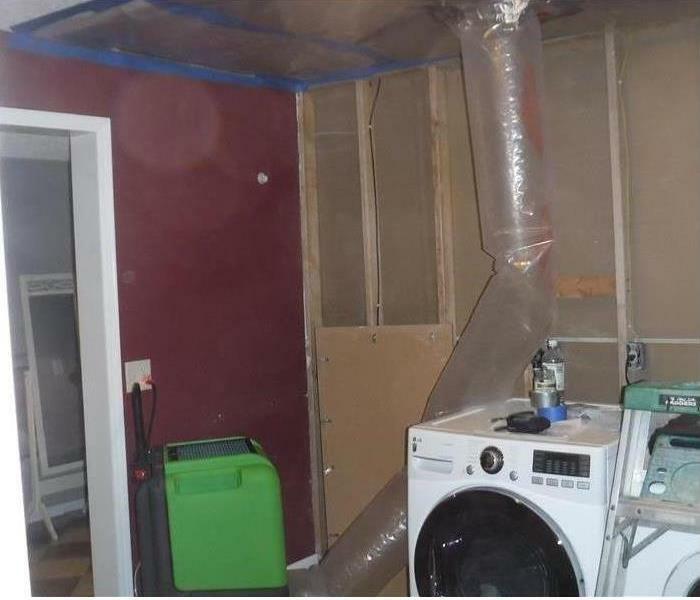 As a skilled and well-rounded contractor, he is very knowledgeable in the restoration and remediation processes. He is very hands on with the daily operations of the warehouse as well as our production crews. He continually makes his customers his top priority. In his spare time, he enjoys going fishing. Jessica is a Project Manager at SERVPRO of Bristol. She has a wealth of experience and knowledge dating back to 2003 and is our go to person for those complex or difficult jobs. She balances multiple projects overseeing each one and coordinating every step towards a timely completion , and within budget, and scope. In her spare time, she enjoys photography. “Zeke” is a Technician at SERVPRO of Bristol. He is our go to team member for demolition and tear out work. He is very experiened and adept with extractions and clean ups. In his free time he likes to relax at home, but also has a large assortment of Jordan sneakers. Sabrina is a Technician at SERVPRO of Bristol. She has been a team member going back to 2018, and has been a very versatile and valued addition. She is always prepared for any job and devotes herself to each and every customer’s business or residential disaster. Lisa is a Technician at SERVPRO of Bristol. She is our go to contents cleaning specialist, and will handle all items that require specialized cleaning and care. She makes it a priority to restore your belongings - "Like it never even happened." She is also likes to shop and is a big aficionado of all the fine designer items. Brandon is a Technician at SERVPRO of Bristol from 2017. He has proven himself to be a very valuable crew member. He is fast and always responsive as he focuses on our customer needs. When not working, he enjoys the beach. Amber is a Technician at SERVPRO of Bristol. She is part of our team since 2018 and has already become a very important member. She hopes to further develop herself in our industry, and loves to be with her family. She is also very interested in the outdoors, camping, and the martial arts.